Columbia takes temperature regulation to a new level. The Columbia Terminal Tackle ZERO™ Long Sleeve Shirt's Omni-FREEZE ZERO™ tech provides sweat-activated cooling, ensuring that when you heat up, the fabric cools you down. The technical polyester fabric also wicks moisture actively and offers up UPF 50 sun protection. An anti-microbial treatment fights bacteria to keep the shirt smelling freshly washed, even when it's far from it. This shirt is a super-versatile athletic shirt for all types of activities. "Do these shirts come in Large tall?" "Unfortunately, we do not carry the Tall size. " 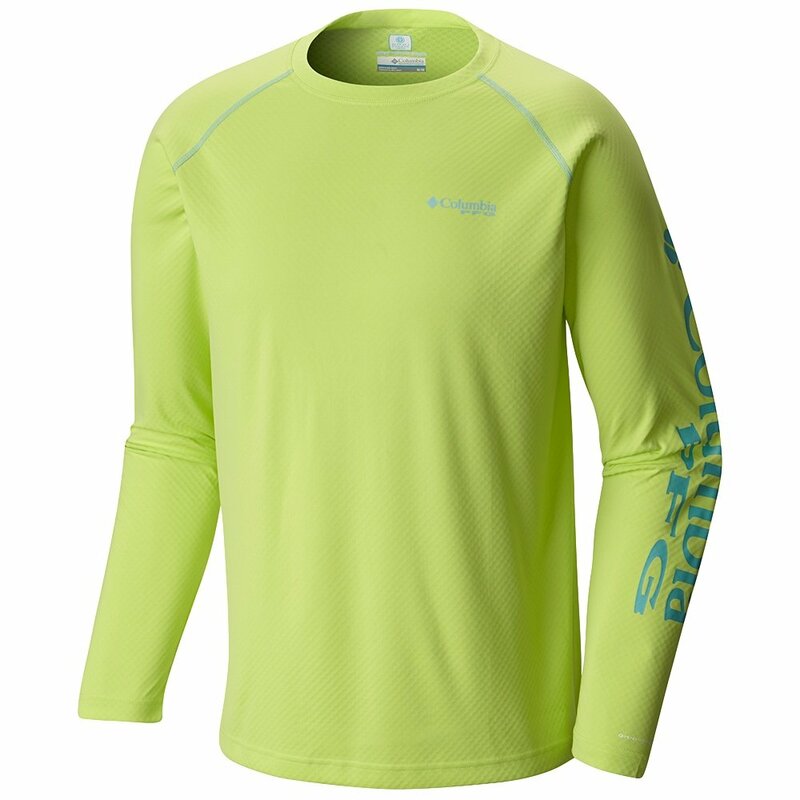 "Is this shirt a thermal layering shirt for outdoor activities in Alaska in june"
"With the Omni-Shade™ UPF 50 you are protected from the sun. The fabric is also 100% polyester with a interlock Omni-Freeze™ fabric. We recommend wearing this product in a more sunny climate. "